In her groundbreaking new book, BE THE SHOE, Kathy Kelada uses her talents as an educator, coach, personal shopper, and comedic actress to interpret every shoe lover’s distinctive personality. Kathy’s early career is highlighted by her business Born to Shop, named by Los Angeles Magazine as the best shopping service in Los Angeles, it produced and appeared in shopping and gift guide stories for featured segments on network television. She eventually went on to earn an MEd degree from Antioch University in New England, and later worked with the Women’s Health Resource Center at Dartmouth College. Bringing together her accumulated expertise into a now thriving life coaching practice, Kathy helps Hollywood celebrities and everyday men and women empower themselves to reach their life goals. 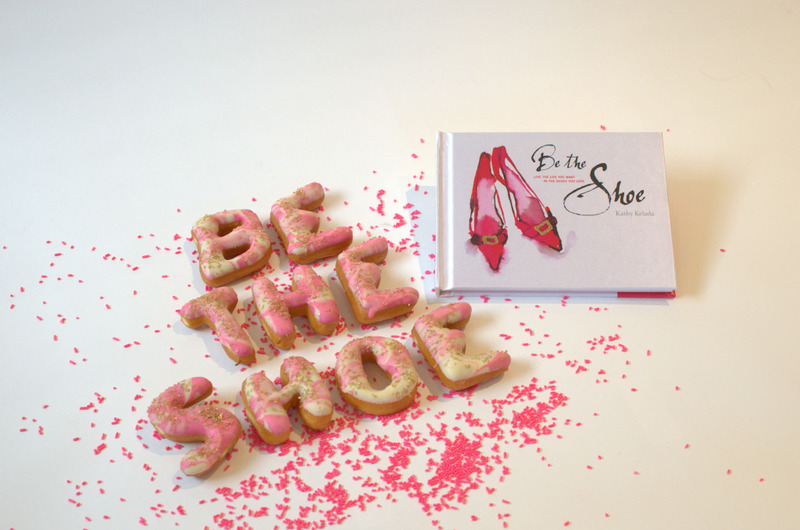 BE THE SHOE is her fun, insightful, and glamorous new way of unlocking the secrets of personality. It provides women with a fresh perspective into their lives and inspires them to achieve their personal goals with ease, style, and the right pair of shoes! In her groundbreaking new book, BE THE SHOE, Kathy Kelada uses her talents as an educator, coach, personal shopper, actress to interpret every shoe lover’s distinctive personality.